You can now get your fix of our artisan breads delivered to your doorstep every month. 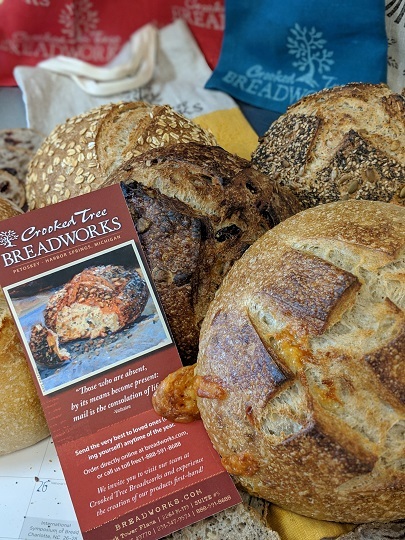 Crooked Tree is now offering their Bread of the Month Club. You can choose your membership level at 3, 6, or 12 month and how many loaves you would like sent (1 or 2). All prices include shipping and each membership includes a beautiful hand stamped bread linen from our friends at Three Pines Studio in Cross Village, Michigan. Click here to learn more about the Bread of the Month Club.